First of all, isn’t a strange name for a park? Yes, it is… and for this reason, we want to start our tale from the name Idroscalo, so that you’ll understand where you’re going… A place that was an airport for seaplanes! 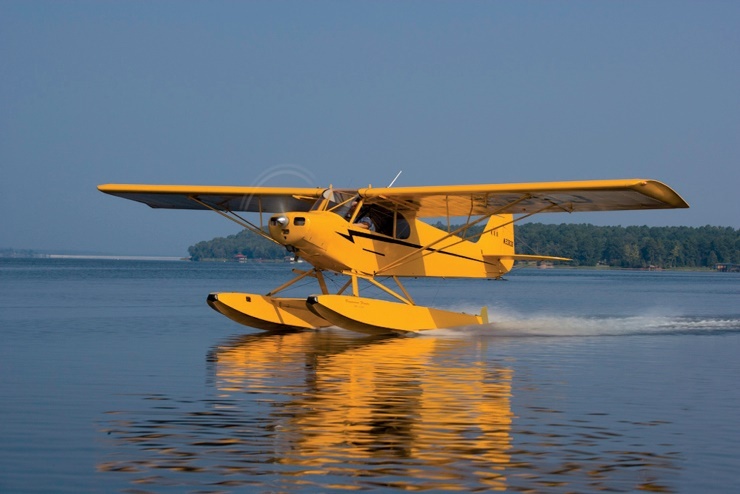 Okay guys, let’s start from what seaplanes are… have you ever seen one? They’re small airplanes with floats that allow it not to sink and to land on the water! Just think that these seaplanes were considered as the best mean of transport and, in fact, they were very popular at that time! So, also Milan wanted a seaplane base and so it created it when your grandparents were young. 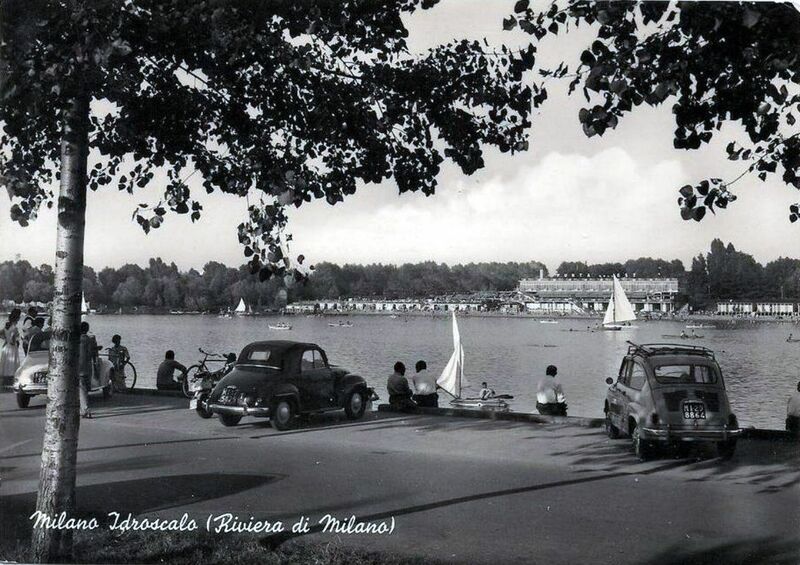 Since its first years of life, the Milan seaplane base became a meeting point where to play sports and sail and, together with the Lido of Milan, it was known as “the Milan sea”. Today, because of the lack of seaplanes, this place is perfect for sports and activities… Just think that here the National Championship of Rowing took place; then, it was the turn of the European Championship and, about ten years ago, of the World Championship! On the Idroscalo shores, there’s a sport centre that has 5 soccer football courts, and courts of tennis, basketball, volleyball and beach volley, a body building gym with an aerobic room and a sailing centre where you can rent canoes. The park also hosts many events, festivals, concerts and shows in order to entertain adults and children. The activities that this park offers you are so many, so that children, families and disabled people have the opportunity to fully enjoy it! Moreover, the park has a lot of benches and picnic areas. What are you waiting for? manoxmano informs the bravest of you that, during summer, you’ll find two Adventure Parks, one on the Western Shore and the other one on the Eastern Shore… and while you and your daddy will be climbing mountains, your little brothers or sisters (if you have some), will play in the new area called parco giochi Auli-Ulè, whose sign says: “there’re no carousels and structures, but just suggestive areas”. So beautiful, don’t you think so? A place where you can freely play and forget about tablets, cell phones, etc. Just good old games like hedges, benches and your imagination! We know that you guys love spending your time in contact with nature and eating on the grass. So, if the weather is fine, just carry your packed lunch, a ball, Frisbees and anything else you need to spend a great day with your friends and families… you’ll have fun, we’re sure! Even culture has found its place in this park! As soon as you get there, in fact, it’ll seem you to be visiting a real open-spaced museum! 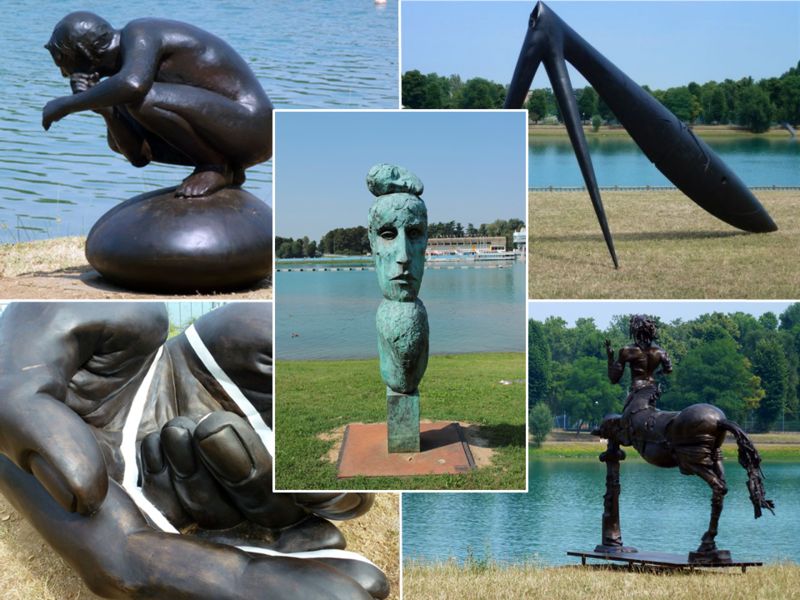 Take a look at the shores… in front of you there’s the “Parco dell’arte”(Park of art): twenty beautiful sculptures that are reflected in the water. Don’t be scared, they won’t hurt you! Get a little bit closer and look at them! And at the end of the day, you’ll still feel like doing something else, we inform you that, near the park, there’s a huge funfair, the EuroPark Idroscalo. It’s not an educational or cheap activity, but if you behaved well during the day, your parents may decide to make you have a ride on roller-coasters! Have fun! 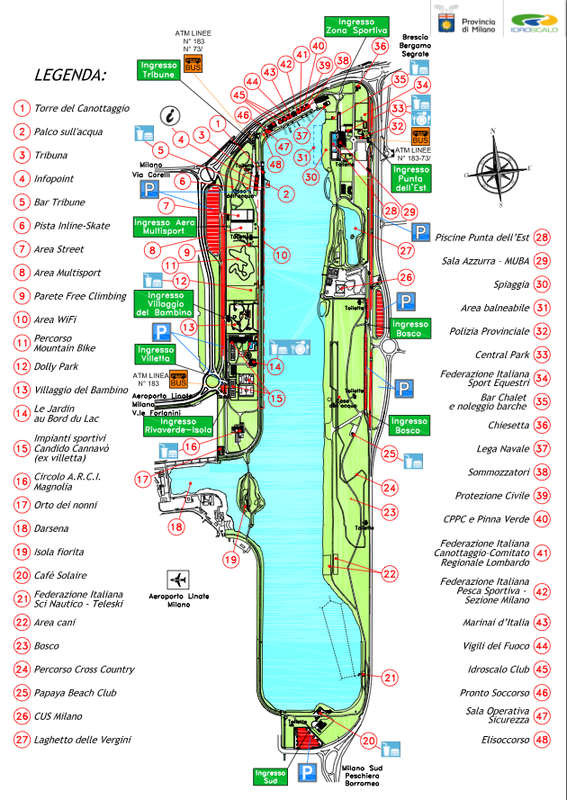 Before you go, we remind you that it’s easy to reach this park, but you have to stop at the Linate airport to change bus. So, just go on the rooftop and look at those giant airplanes flying in the sky… and think that when your parents were your same age, it was an honour to come to the airport to look at airplanes! They were not used to fly as much as you are now and be close to an airplane was like dreaming for them! During summer from 7 a.m. to 9 p.m. / during winter from 7 a.m. to 5 p.m.